Warm, cozy, and aromatic, this (crock pot!) 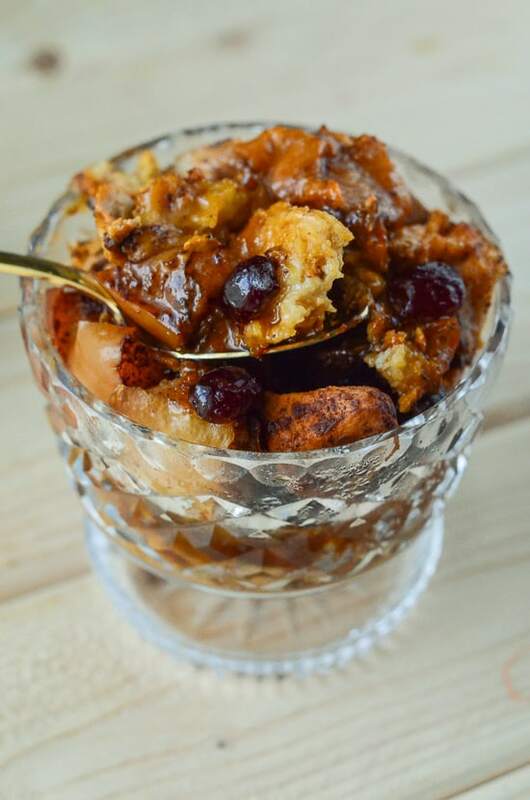 Cranberry Apple Cinnamon Bread Pudding absolutely screams all things autumn! Warning: this dessert will cause uncontrollable urges to cuddle under warm blankets, drink hot cocoa, and/or roast marshmallows over bonfires. That said, don’t be afraid to make it! 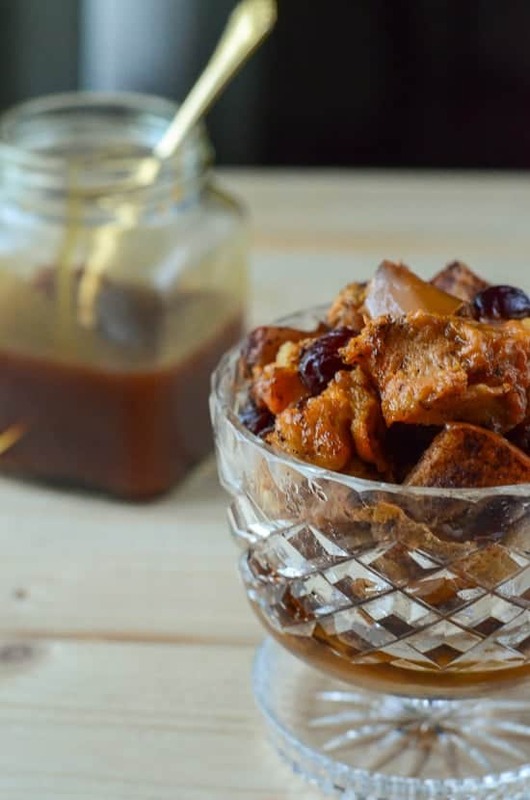 After all, the time for cool weather activities is upon us, and devouring a heaping bowl of this Cranberry Apple Cinnamon Bread Pudding should most certainly be one of those activities! Can we just take a second to talk about how much more exhausting my life has become in the last few months? Like, way more than I thought possible. And I don’t even have kids yet. How am I gonna deal when I pop out a needy, crying baby next year? Between tons of work and this crazy fun blog and keeping up with my top 3 shows (The Walking Dead, The Vampire Diaries & Once Upon a Time) and my surprisingly busy recent social life, I barely have time to do much else. I mean, I already limit myself to less than 6 hours of sleep most nights. Not by choice, mind you. Who do I need to petition to get a few more hours added to each day? Some days, I honestly have no idea how I keep myself upright. But I feel as though I should give credit where credit is due. Every morning like clockwork, either in my Keurig, from Dunkin’ Donuts, or from Starbucks, I must have at least one cup. Good Lord, I don’t know where I’d be without it. I’m not even sure the caffeine in it does anything at all for me, anymore. At this point, it could be nothing more than a placebo, but it tricks me into thinking I have energy. Sometimes, those tricks are all my brain needs. It’s funny, because as a kid, I remember Nana drinking coffee all the time, and I wanted nothing to do with it. To me, it was a bitter, foul-smelling beverage that only old people drank, at what seemed like any time of the day. Well. I guess I’m one of the “old people”, now. But I embrace that fact – so I’m sharing my love of coffee with you guys! 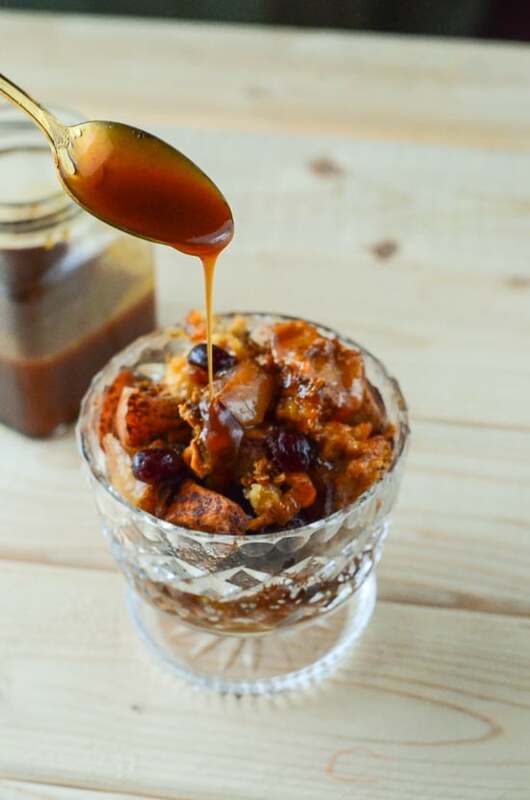 Get that crock pot going and make a batch ASAP, then grab a cup of coffee with a little cream, and a spoon, so you can gobble up this bread pudding. They make a great pair! Mr. Crumby introduced me to bread pudding about 8 years ago, ironically enough, with a store-bought package from the bakery I still work in. Just by looking at it, I did not expect to like it. I mean, let’s be honest, bread pudding is probably one of the least attractive desserts. 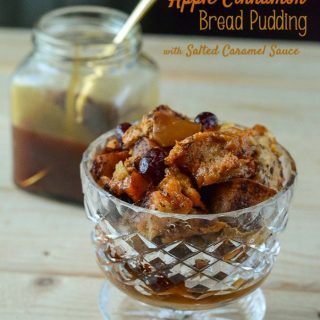 But when you let day old bread cook with the custard and apples and cinnamon and let the sauce re-hydrate the dried cranberries, and melt some cinnamon chips inside all of it, and then top it off with some of the best salted caramel sauce you’ve ever had? Pure autumn magic, my friends. Don’t judge a book by its cover! And this one even looks pretty darn good, too, if I may toot my own horn. Combine apples, dried cranberries, cinnamon & nutmeg in a large bowl and toss with lemon juice, being sure to coat all fruit. Spray a 4-5 quart slow cooker with non-stick spray. Place bread in crock. Add apple mixture and cinnamon chips and mix ingredients around in crock until evenly distributed, pressing it in as needed to fit. In a medium bowl, whisk together eggs and brown sugar until combined. Add milk, butter, vanilla, rum, and salt, whisking until incorporated. Pour egg mixture over bread in crock, being sure to coat all of it. Cover crock and cook on high for 2-3 hours, or low for 5-6 hours until eggs are fully cooked. Serve with your favorite salted caramel sauce. How do you power through your day? Love this recipe! I love recipes that utilize the crock pot! This one would also make the whole house smell warm and inviting! My crock pot is quickly becoming my best friend, Melissa! It will be a perfect pair with a pumpkin pie, Cece! I cannot even tell you how good this looks! Definitely entering the giveaway! Thank you, Melissa! Good luck! Looks yummy! I power through my day with a little help from caffeine. Thank you, Bree. Good luck in the giveaway! 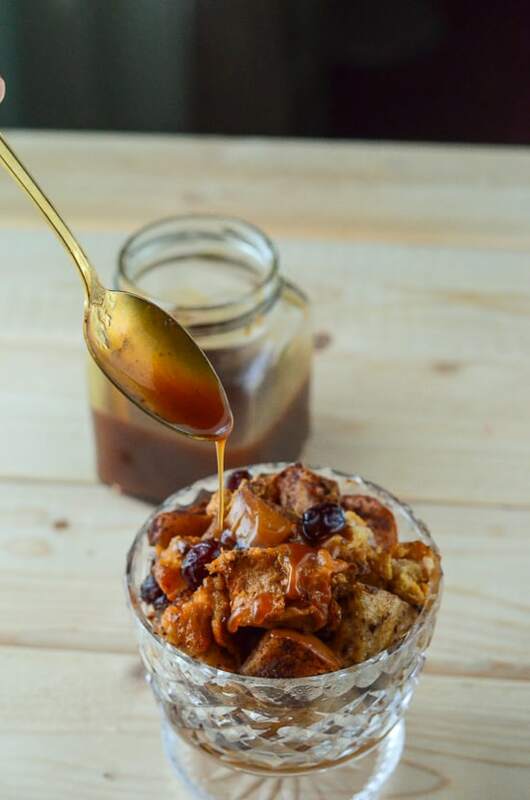 I love a good, crunchy bread pudding and your’s looks like it exceeds my criteria! Yum! Yummy!! I can’t wait to try this! And, I power through my day with coffee… lots of coffee! I hope you enjoy it! Good luck in the giveaway! I need to learn how to power through the day. I try to get up and go. Almost like dragging yourself through some days, right? Coffee, coffee, coffee! 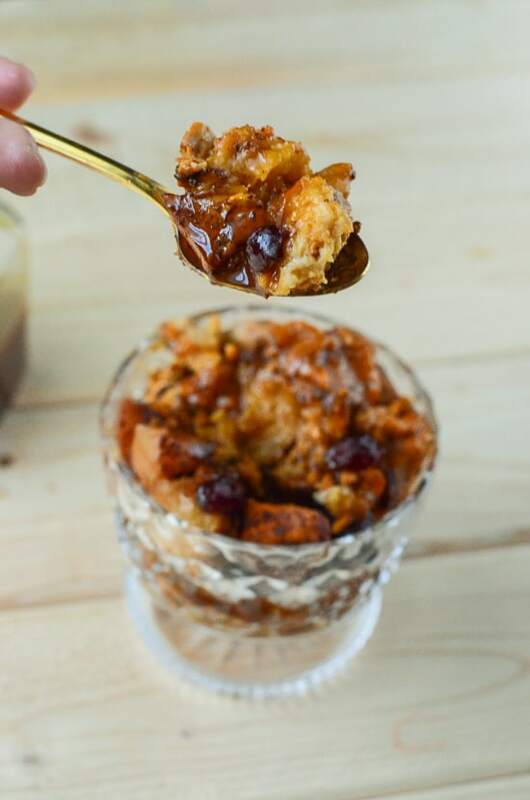 So the starbucks giftcard would be perfect for that 😉 This bread pudding looks AMAZING! Ugh, now that I am pregnant it is harder! I can imagine, Darby! I don’t know what I’ll do when I have to cut down on the caffeine! True, as soon as you slow down, it’s allll over! Again. Another AMAZING recipe!! You rock the kitchen girl! And I can totally make this into GF. So simple!!! I’m a coffee addict too. It’s an amazing thing.. lol. That’s great, Ashley! Prayers for strength and stamina (over a cup of coffee for me lol) are often on my lips! This looks delicious! I have to have my coffee in the morning to get me going, and sometimes an afternoon nap. Oh my goodness, are naps not the most underrated thing in life?! I wish I could go back to my childhood and tell my past me to enjoy the naps…they’re few and far between as adults!!! Bread pudding is probably one of my least favorite dessert. I can easily turn that down. But coffee? Not a chance! I’m a coffee addict. So, are you prego or are y’all just going to start trying next year? Just an FYI, having a baby is the hardest thing EV-ER. My child refuses to sleep. Like…at all. I probably get less than 5 hours of sleep every night, and that’s the way it’s been for the past year. Yay! Sike. But he’s totally worth it! Oh, I am definitely a coffee addict, as well! Nope, not pregnant, yet, but we will be trying early next year. I know they’re a handful for a long, long time, but I’m so excited to have one! This looks absolutely incredible! I’m definitely going to whip this up tomorrow afternoon 🙂 In terms of getting through my day, coffee is my definite go to! I power through my day with caffeine! I power through my day with a big cup of coffee! I switch between coffee & tea to help me power through my day! I should definitely drink more tea…unsweetened is even starting to grow on me, a little! Just looking at the photo of this recipe cause me to have uncontrollable urges to cuddle under warm blankets, drink hot cocoa, and roast marshmallows over bonfires! Shame on you for putting all the good stuff in one recipe! Prayer, my love for my family and nutrition help me power through every day! Great giveaway! LOL I guess I’ve done my job, then. 🙂 Those are all wonderful motivators you’ve got, Shirley! I’ll be there, Katherine, thanks for the invite! 🙂 Will power is great! Hard to come by, some days, though! I’m feeling like I need a cup right now! Oh my yum! Sharing, Coming to you from HDH! How do I power through my day? I honestly have no idea… sometimes I wonder… followed up by a pat on the back, lol. A lot of coffee gets me through! This looks FANTASTIC!!!! So on the sleep issue… once babies join the mix.. well, say good-bye to sleep for a while. 🙂 However, we got rid of our TV. ( yes I said that) and it makes it much easier to get more done and get to bed before midnight, unless I am up working on my blog that is. 🙂 Great recipe! Thanks for sharing. Oh, I know it’s only going to get worse when we pop one out…but I’m looking forward to it!! I have to have coffee and sometimes a nap too! Haha! Coffee and tea and coffee and tea…. I think I may have just found Thanksgiving day breakfast or dessert! This looks delicious! Seriously, you have got to stop posting all those delish looking recipes. 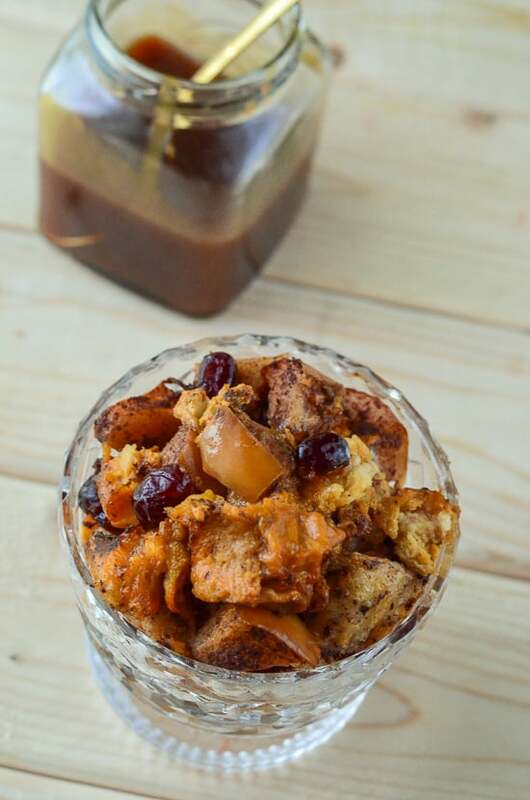 I have been wanting to make a good bread pudding as we love it here so much but just cannot seem to find the right one. Hubby once made a great one but we lost the recipe. Will show him this!! I usually have coffee in the morning, but if I’m in a rush, I’ll grab a sugar free red bull! Also, drinking ice cold water is really great at waking you up! Eating healthy, working out, and praying gets me through the day! 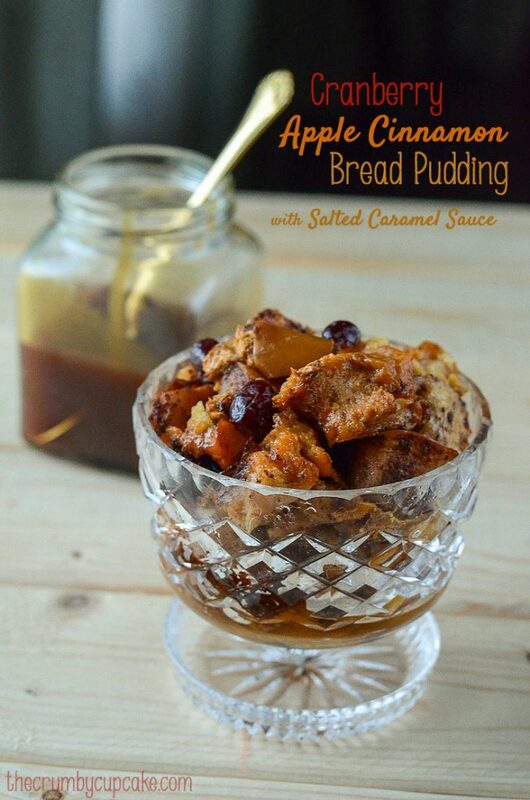 Thanks so much for linking up your bread pudding at the Pretty Pintastic Party! We loved it so much we’re featuring your recipe on the party this weekend! Stop by, grab a featured button, and link up some more great recipes!